To the children of the entire Gansara panchayat, he is their very own Sanjeev dada (big brother), the ‘solution personified’ to all the problems they ever face with school or with access to any facility they are entitled to. To the people of Ahmedpur village, he is their pride... the youngest candidate in the entire panchayat to become an elected representative of the local governance at the age of two and twenty years. And to anyone new to the village, he is just the typical ready-to-help guy with a twinkle of intelligent smile flashing on his face. Clad in all whites, Sanjeev has a certain air of calm confidence about him, which catches your eye in the crowd. His words flow with the ease of an experienced and a much older person. Sanjeev was first spotted when he was all of 12, singing all the way to glory while campaigning for his mother who stood for the elections at the local panchayat that year. Not only was Sanjeev a great singer, but also a very eloquent speaker even at that age. He was inducted into the Children’s Group of his village created by the Jawahar Jyoti Bal Vikas Kendra (JJBVK)—a project supported by CRY—Child Rights and You. In a very short time, Sanjeev shone in his group by virtue of his leadership qualities and was selected the President of the Children’s Group in his village. He went on to showcase extraordinary skills and led changes in various spaces where children were advocating for their rights. Under his leadership, the group demanded infrastructural changes in their schools and better teacher-student ratio. It also spread awareness on the ill-effects of child marriage, scourge of child labour and the importance of education. He not only led the team to speak to the school authorities or the government officials who were responsible for these changes, but also did not leave a single stone unturned to ensure that children in his village got proper schools to go to and access to quality education that could change their lives. “My mother, who did not really get an opportunity to complete her education and got married very early, owing to the tradition of child marriage in this part of the country, made it extremely clear to me that education is the most important thing in life. It not only helps break the cycle of poverty, but also opens up our minds, gives us the exposure that is required to become better versions of ourselves. I have grown up wanting to make a difference to the education scenario in the area I live in. Today, my political identity helps me do just that. I make sure I use the authority in the right way to ensure that children do not remain out of school and they get the schools they deserve,” says a buoyant Sanjeev. While he was growing up, he saw his neighbours marrying off their girls as soon as they hit puberty, sometimes younger. A few of his friends fell prey to child labour and dropped out of school. Every year, while the whole country celebrated Independence Day, little Sanjeev would wonder how he could help his friends break these barriers. It was from then that he knew he wanted to be a leader—and lead by example. 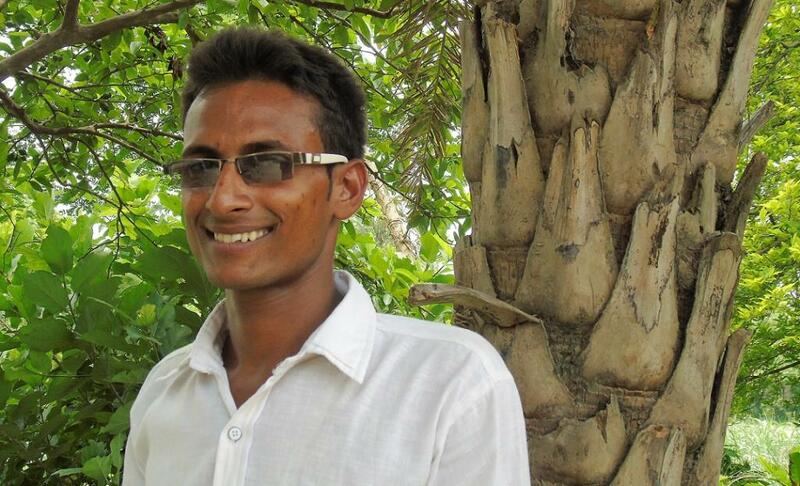 If there is one thing that he is sure of, it is that he wants to become the voice for the children in his panchayat. “Every adult has a say in the way they envision their lives to be. They speak about their needs and their wants as they are the vote bank. Who will speak for the children if I don’t?” he posits. Sanjeev has taken many a step in the past one year to let children know that he is accessible and always has time to hear them out. From making regular visits to schools and monitoring their functioning to interacting with the School Monitoring Committees to help schools deliver quality education, he has been active in solving practical problems. In an instance, where the children were being charged a fee for issuance of transfer certificates, he intervened to point out that the service is free. In another incident, where rules were not followed in appointing the headmaster, his knowledge about the Right to Education came in extremely handy. Right to Participation being one of the core objectives that CRY– Child Rights and You and its grassroot-level partners work for, creating and nurturing active Children’s Groups in all its intervention areas is a focus area. This is a platform where children not only discuss important issues and course of action for various awareness programmes they conduct among their peer groups. It is a space where their talents are nurtured through various cultural programmes and their expressions, thoughts and opinions find voice. Sanjeev has proven to one and all that when children have freedom of expression, they can create wonders!